At about 25,700 square kilometers (17,100 miles), Sicily is the largest island in the Mediterranean Sea, a veritable country in its own right and blessed with ideal winemaking conditions, such as myriad exposures, altitudes, soils and grape varieties, plenty of sunlight and low rainfall. Not surprisingly, Sicily produces a lot of wine: about 12% of all Italian wine (including roughly 9% of Italy’s reds and 10% of Italy’s rosati). More precisely, the island accounts for roughly five million hectoliters of wine per year from what is Italy’s largest regional vineyard area—about 103,000 hectares, of which close to 90% are located in western Sicily. To put that in perspective, Sicily alone produces more wine than all of New Zealand or Greece. Sicily boasts 24 different appellations; one of them, Cerasuolo di Vittoria, is a Denominazione d’Origine Controllata e Garantita (DOCG) while the other 23 are Denominazione d’Origine Controllata (DOC). Many of the latter are virtually unknown even to Italians (for example, Riesi, Sambuca di Sicilia, Sciacca) and a few may ring bells (Alcamo, Contea Sclafani, Contessa Entellina, Eloro, Faro), but only a handful are actually well known (Etna, Malvasia di Lipari, Marsala, Moscato di Noto, Moscato and Passito di Pantelleria). Encouragingly, the percentage of DOC and DOCG wines is increasing. Less than 5% in the mid-1980s, these wines now account for 18% of the island’s total wine production. There is much to like about Sicily’s wines. For example, prices are generally not high, even for famous, high-quality reds and exciting dry and sweet whites. The island is also home to many native grapes whose considerable quality potential has only recently become clear. It’s not surprising that the likes of Nero d’Avola and Nerello Mascalese have rightly gained fans the world over. Carricante, a white grape, is now rightly viewed as one of Italy’s three or four best native white varieties, capable of giving highly mineral and very ageworthy wines. Furthermore, the great potential of other cultivars such as the Catarrattos, Perricone and Grillo has not yet been fully tapped, so it is likely that there are many new and exciting wines to come from Sicily in the near future. Moreover, a young generation of talented and passionate producers is bent on making quality wines—and not the plonk that was once routinely used as a blending agent for anemic reds made in more famous parts of Italy and other well-known wine-producing countries. And strangely enough, many different regional Sicilian governments also did fine jobs over the years in looking out for the island’s agriculture, for example by allocating considerable funding for the Istituto Regionale del Vino e dell’Olio (IRVO), although that situation may change, unfortunately. Long a model in scientific research, the institute has worked with some of Italy’s greatest wine minds (among others, Giacomo Tachis and Attilio Scienza) and it has helped in matters like developing new clones and identifying ideal production methodologies. Etna has been the single most exciting development in Italian wine in the last decade, with Etna Rosso becoming Italy’s single hottest red wine. Unsurprisingly, the Etna DOC has grown at an impressive rate in recent years, reaching a production of 22,000 hectoliters of wine, and land under vine of roughly 650 hectares, compared to only 442 in 2007. Other Sicilian wines have improved dramatically over the last decade. For example, an ever-increasing number of dedicated producers are now making truly outstanding Passito di Pantelleria and Malvasia di Lipari, the latter wine is now being made on the island of Vulcano as well, which was not the case just a few years ago. And a good argument can be made that Nero d’Avolas have also never been better, especially now that the grape is being blended less and less frequently with international varieties like Cabernet Sauvignon and Syrah. In other words, Nero d’Avola is being allowed to shine like never before. Clearly, the Sicilian wine scene has problems too. For example, most of Sicily’s dry white wines are well made but rather simple and not especially ageworthy (Carricante excluded). And while local native grapes are all the rage now, with producers both big and small producing wines from once-forgotten native cultivars, there remain large plantings of Chardonnay, Sauvignon Blanc, Merlot and Cabernet Sauvignon on the island. These international varieties can certainly give palatable wines in Sicily, but making truly great wines with them on the island is another matter. Foreign grapes were mostly planted in the 1980s when many producers hoped to cash in on wines that would be easily understood by international consumers. Unfortunately, the last thing the world needs is yet more Chardonnay and Cabernet Sauvignon wines, especially when these are quite often neither cheap nor especially good—despite some ridiculous awards and high scores from Italian wine critics over the years. Even worse, despite some cool-climate pockets (such as Etna, where a number of producers are trying their hand at Pinot Noir), the majority of Sicily is just too hot for the likes of Merlot and Sauvignon Blanc, and the likelihood of ever producing truly world-class wines in Sicily from such varieties is next to nil. The problem is that those vines have now been planted but the need to start uprooting or regrafting isn’t as obvious to all as it ought to be. In fact, although matters have improved greatly over the last ten years, Sicily still produces too many red wines that are big, chocolatey, low in acidity and high in alcohol. These wines might please some international palates, but modern wine lovers are increasingly turning away from such obvious caricatures. In fact, climate change has led many quality-minded Sicilian estates looking to make perfumed and less alcoholic wines to begin searching for different grape sources for their top wines. For example, the famous Duca di Salaparuta estate started making its Duca Enrico wine from Nero d’Avola grapes grown in different vineyards than the historic ones at the beginning of the new century; the new sites were located at higher altitudes and cooler microclimates than those that had been used up until then. Of the island’s new international arrivals, at least Syrah is giving signs of having potential. Alas, the same cannot be said for another Rhône variety, Viognier. Misguided EU funding didn’t help matters: meant to spur a rationalization of local agriculture, it led instead to the uprooting of thousands of hectares of low-yielding, difficult-to-cultivate but often high-quality, very old vines that had the potential, if properly tended, to make great wines. 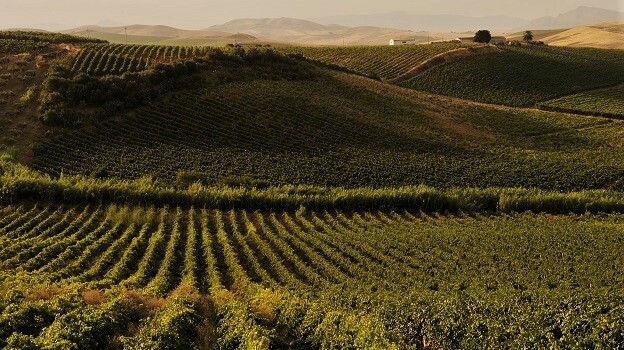 Consequently, many of Sicily’s wines are now being made from relatively young vines, but admittedly planted in a more rational manner and, hopefully, from disease-free vines. 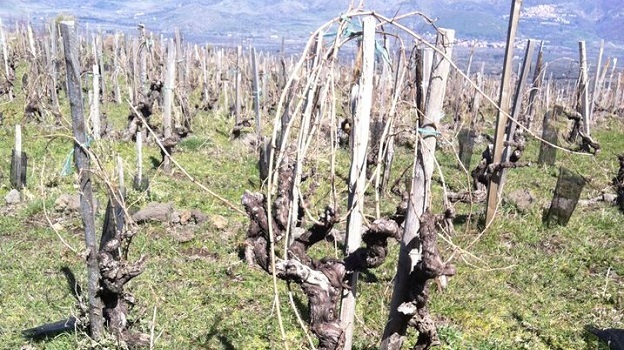 Last but not least, there are persistent rumors that pressure is high on local politicians to expand the production areas of currently hot wines, such as Etna Rosso. Clearly, Sicilian lawmakers must resist the temptation to turn Etna into another mega-wine production area, as true site specificity can’t be maintained over, say, 1,500 hectares. That said, the vineyards of Passopisciaro, one of Etna’s greatest estates, are just outside the current DOC production area (because they sit at a higher elevation than the limit of the appellation), and yet that estate’s wines are some of Etna’s greatest (though they are technically wines from the Terre Siciliane appellation), so perhaps a small strategic enlargement of the production area may not be such a bad thing after all. Given the island’s size, it is hard to make general statements about vintage conditions. What happens weather-wise in Pachino in the island’s southeastern corner, for example, is likely to be very different from what growers have to face on Etna, and producers in Marsala in the western half of the island are also likely to face different weather patterns. For the most part, 2014 is an outstanding vintage in Sicily. In fact, 2014 is one of the very best years for Sicilian wines in memory. The growing season moved along regularly and uneventfully, with no excessive temperatures, heatwaves, rain activity (for example, from October 1, 2013 to August 2014 roughly 621mm of rain fell in the Contessa Entellina area, or slightly below the 656mm annual average of the previous decade; on Pantelleria, rainfall was also slightly below the previous decade’s average) or scirocco winds that are both dry and hot and tend to air-dry grapes directly on the vine. Furthermore, there were noteworthy diurnal temperature variations that helped the 2014s retain freshness. The vintage was also outstanding on the Etna, where graceful, ageworthy wines were made. The Etna 2014s showcase an uncanny combination of structure and fragrance that will make them fascinating to follow. The 2013 vintage was also quite good in Sicily, with timely rainfall, mild temperatures and noteworthy diurnal temperature variations. A slightly windy start to the season disrupted flowering and lowered yields naturally. In central and south-eastern sections of the island, frequent mid-summer rain activity was a cause of concern for many growers, but for the most part white and red wines are fresh and lively, not dilute. Wines are less intensely colored than those of the previous vintages such as 2012 and 2011, and are characterized by greater freshness and precision, but less successful efforts are marked by overly herbaceous notes. This is especially true of Etna, where I find the vintage is not up to what many have cracked it up to be, with many wines marred by green streaks. By contrast, on Pantelleria it rained slightly more than in other parts of Sicily, especially when compared to 2011 and 2012, two of the dryest years on record, but grapes ripened slowly and fully. The Zibibbo wines are especially perfumed. Two thousand twelve was a hot year, with a warm drier than usual summer (for example, 470 mm of rainfall vs the 660 mm yearly average in central Sicily) and with very little disease pressure. In fact, due to quickly ripening grapes, even Etna saw a much earlier harvest (it occurred roughly two weeks earlier than usual); but despite growers pulling the trigger early, 2012 Sicilian wines tend to be highish in alcohol and not especially vibrant. The 2011s are relatively high in alcohol; the whites will need to be drunk up quickly, while the gritty tannins of many reds do not bode well for especially memorable wines. Save for Etna, and to a lesser degree Pantelleria, the 2011 vintage will not be remembered as particularly good. Throughout most of Sicily, spring was rainy and characterized by strong attacks of downy and powdery mildew, while the summer was hot and very dry, with the high temperatures that kicked in during the second half of August. Though wines may be fleshy and showy, for the most part they are aromatically compressed, lack complexity and ageworthiness. On Etna, summer was less marked by the strong heat, while autumn’s moderate temperatures and essentially rain-free days allowed for long hang time. For this reason, 2011 is viewed as an outstanding year for Etna wines, that are generally more graceful and fresh than the wines of other great Etna vintages (such as 2006 and 2014), all of which tend to be more massive. Pantelleria also enjoyed a good vintage in 2011, with many ripe, luscious Passitos. There is no doubt that Sicily has all it takes to make world-class wines. And although not every wine currently made is a world-beater, there are many positive signs. This is especially true now that Sicily’s producers, for the most part, are finally no longer blending international varieties into their Nero d’Avola, Catarratto and Carricante wines. These distinctive native grapes can now shine as never before. I tasted all of the wines in this article in October and November in Sicily or in Rome.